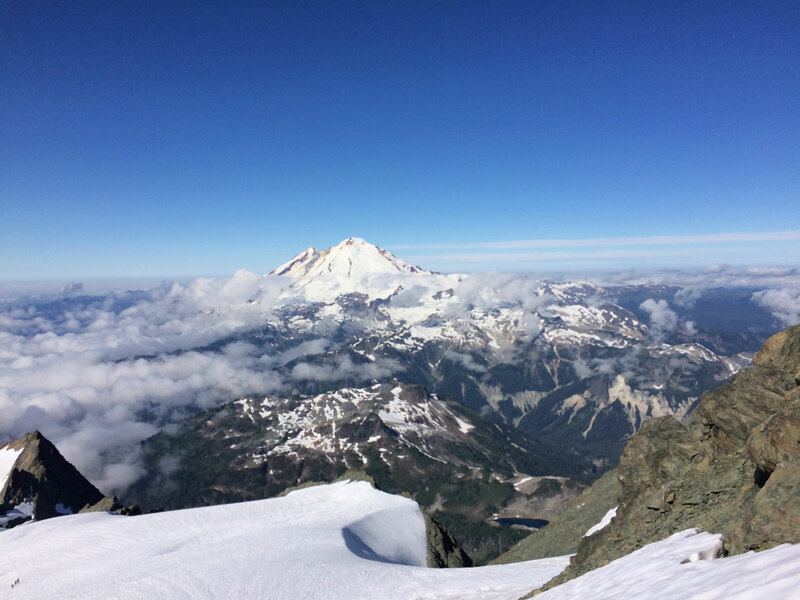 Mount Shuksan was a blast! 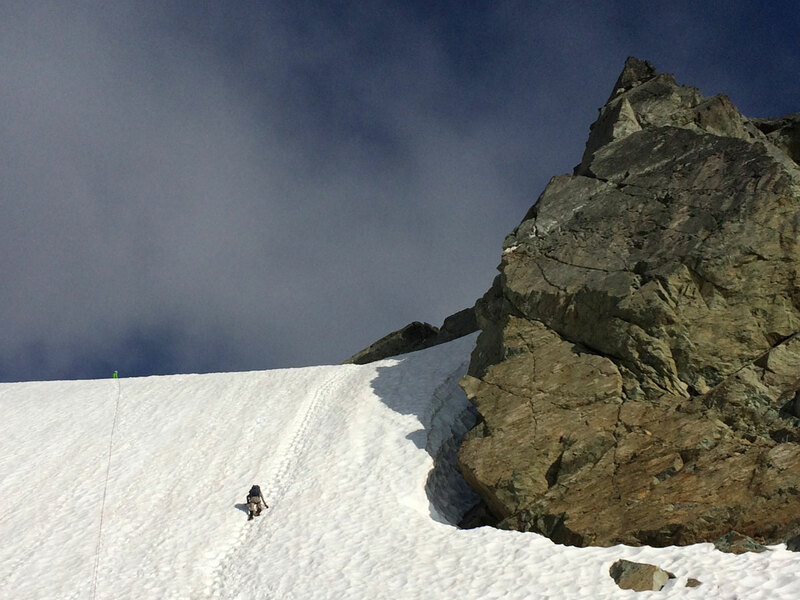 My guide’s decision making, safety systems, and experience were at the highest level. The experience was challenging, rewarding, and purely just a lot of fun. 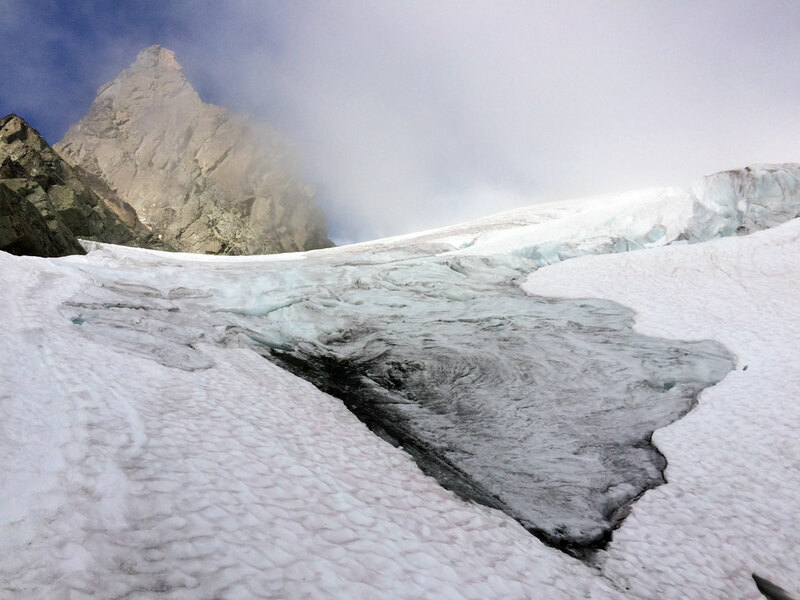 The Fisher Chimneys route on Mount Shuksan (9,127’) stands as one of the finest mountaineering objectives in the North Cascades, requiring a variety of alpine climbing techniques. 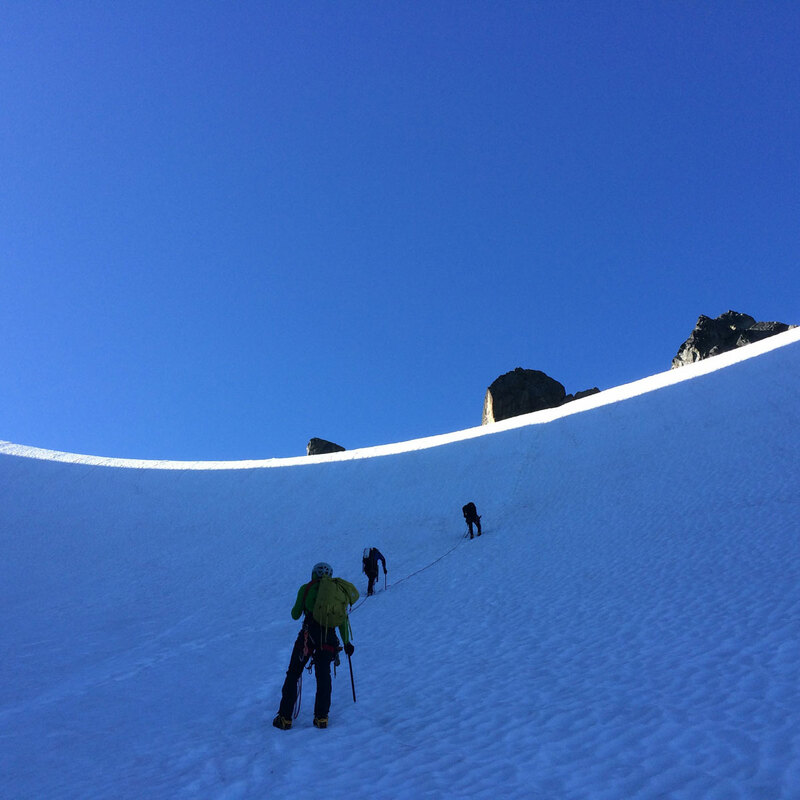 This new four-day instructional course/summit is a perfect introduction to alpine mixed climbing and intermediate mountaineering that we developed for graduates of our six day mountaineering program. 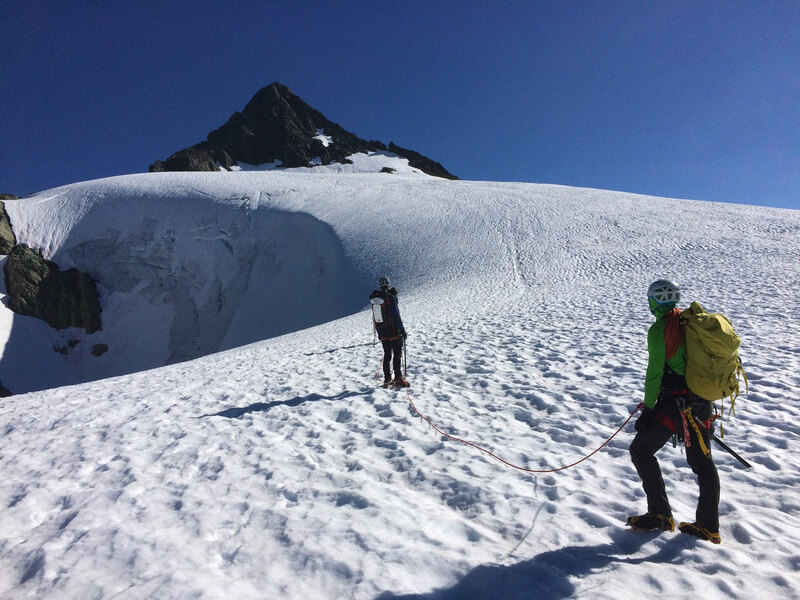 Climbers will utilize rock climbing skills, steep snow climbing, technical cramponing and glacier travel skills on route to the stunning summit pyramid. 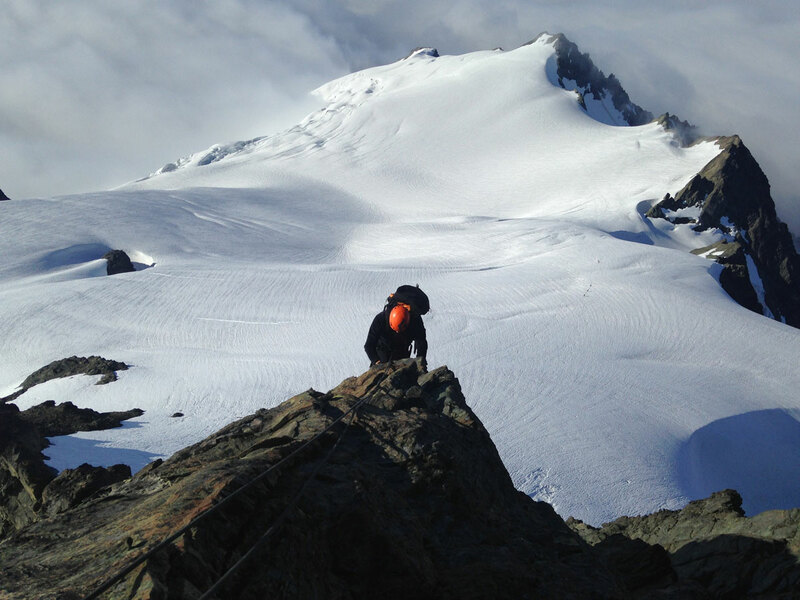 The 4 Day Mount Shuksan Fisher Chimney Climb combined with the Intro to Alpine Rock Climbing is an outstanding Matterhorn Prep Course and highly recommended for those that can make the time. 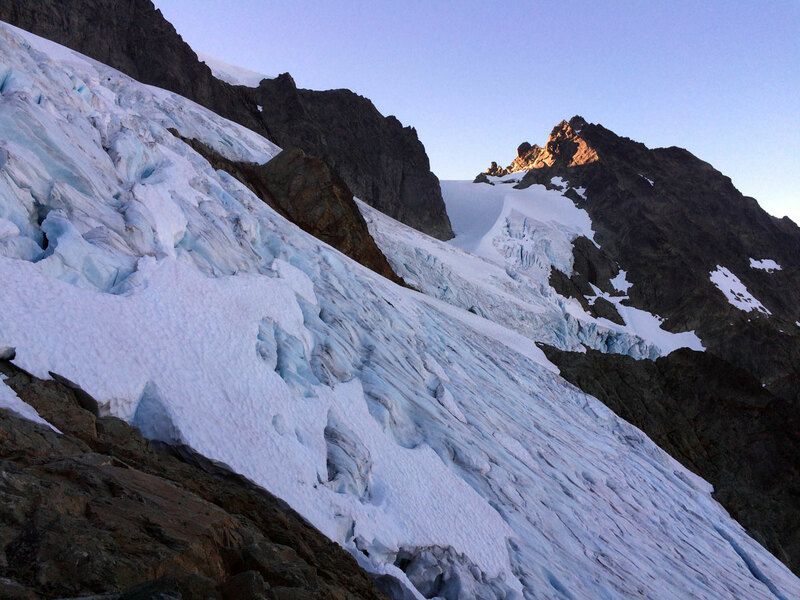 The Fisher Chimneys Route is longer and more challenging than the standard Sulphide Glacier route and our four day program offers an itinerary that blends instruction with an exciting intermediate objective. 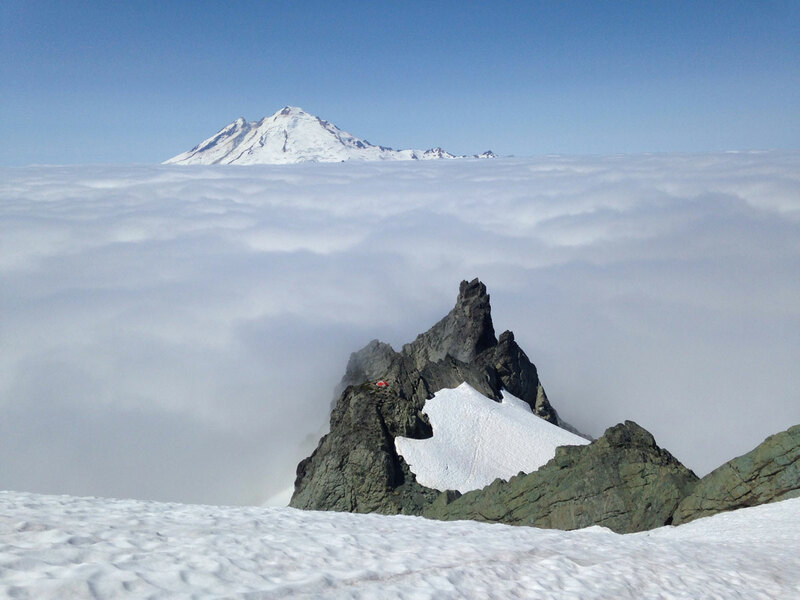 This climb will teach climbers how to move quickly and efficiently through moderately technical terrain (rock and snow/ice) and improve rock climbing and steep snow movement skills. 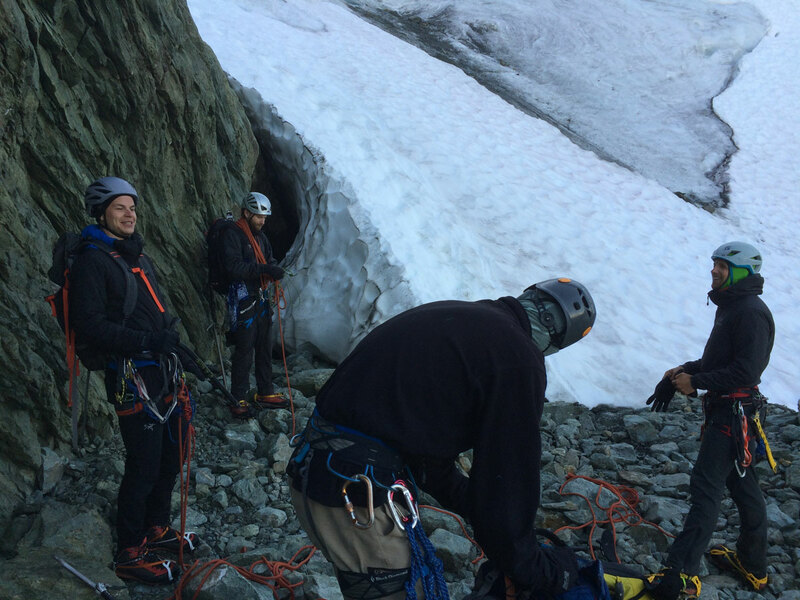 We will also spend a full day reviewing belaying, rappelling, knots, climbing techniques, and rope management prior to the climb. 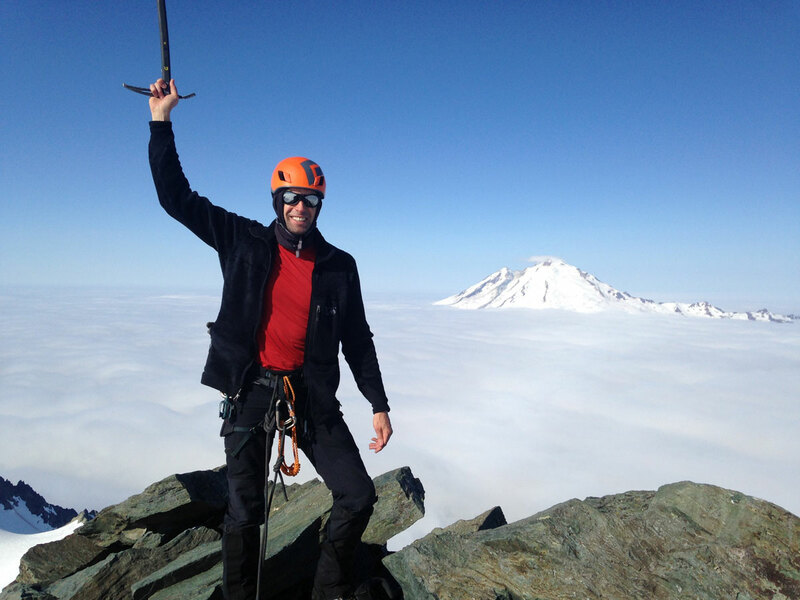 Our goal is to create well-rounded alpine climbers who are ready to tackle more technical objectives. Mt. 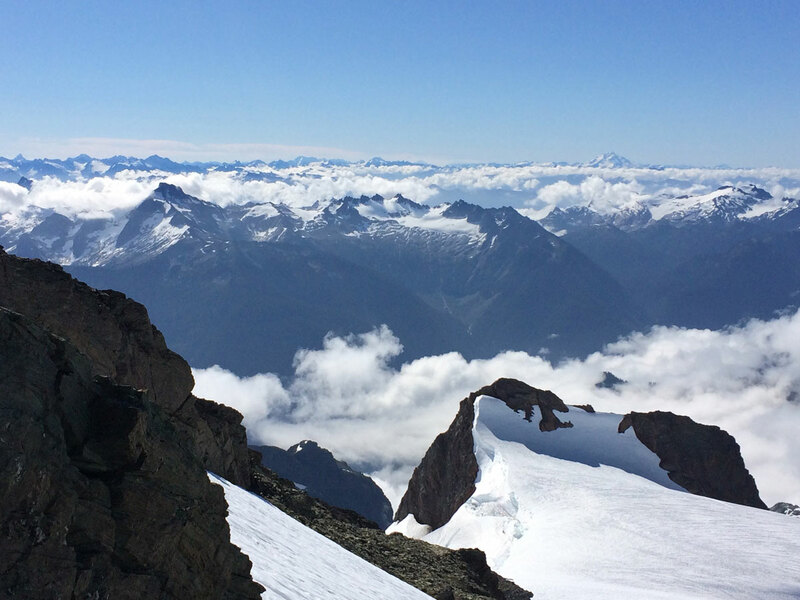 Shuksan is an immense and aesthetically magnificent mountain, the most iconic in the North Cascades. 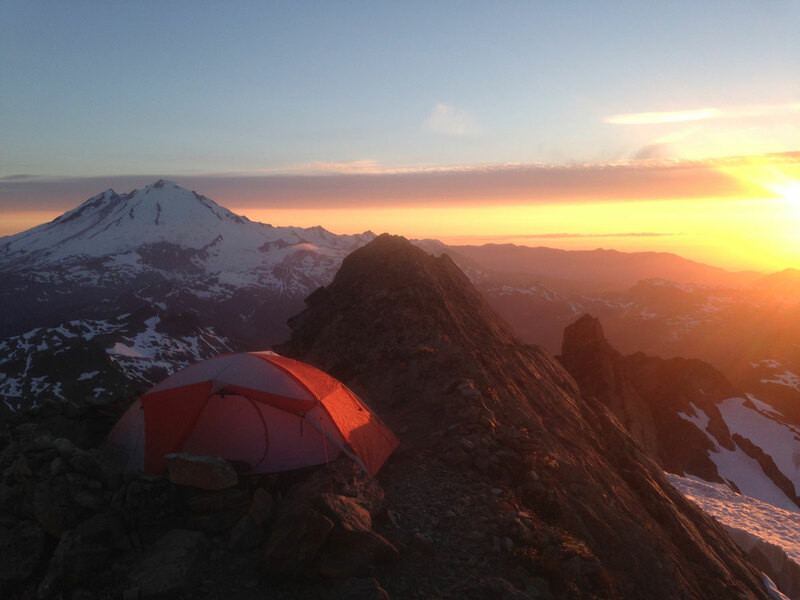 Climbers can expect world class views of Mount Baker and sweeping panoramas of the seemingly endless peaks of the Cascades. 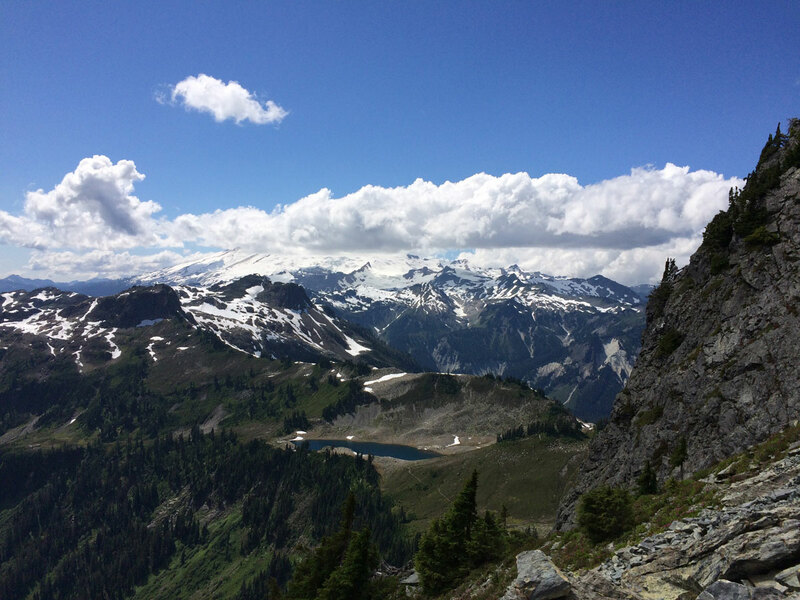 From the stunning approach hike into Lake Anne, to the fun and moderate rock climbing in the Fisher Chimneys, the climb is engaging and exciting right from the start. 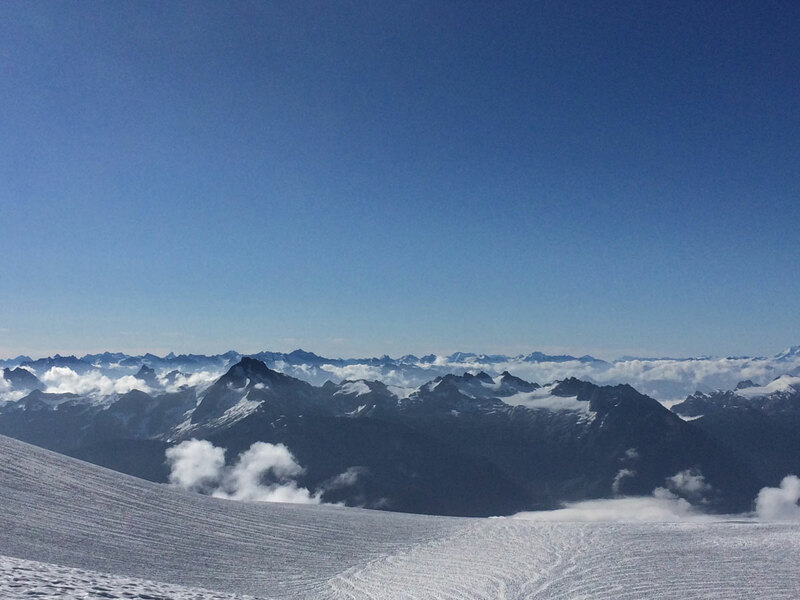 The thrills only increase higher on the mountain. 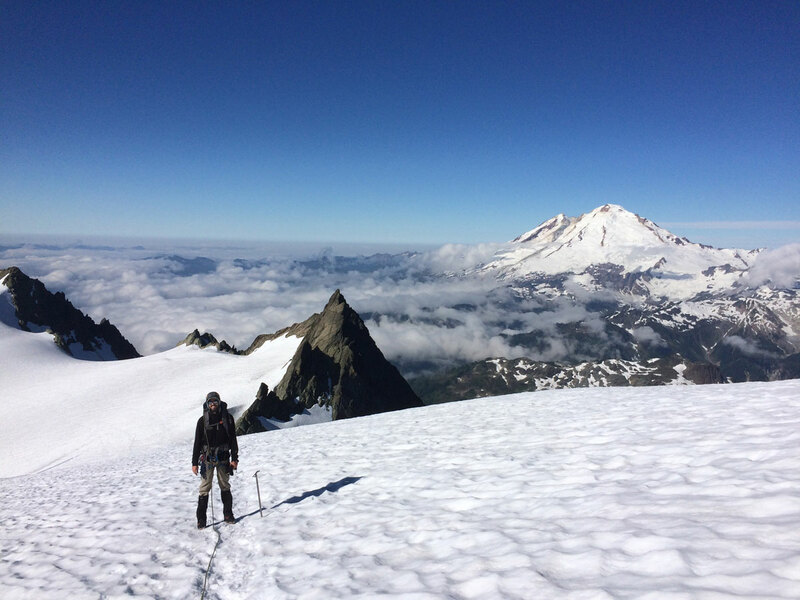 Climbers must navigate glaciers with gaping crevasses, surmount a pitch or two of steep snow, and finally climb the airy and spectacular summit pyramid to the top. 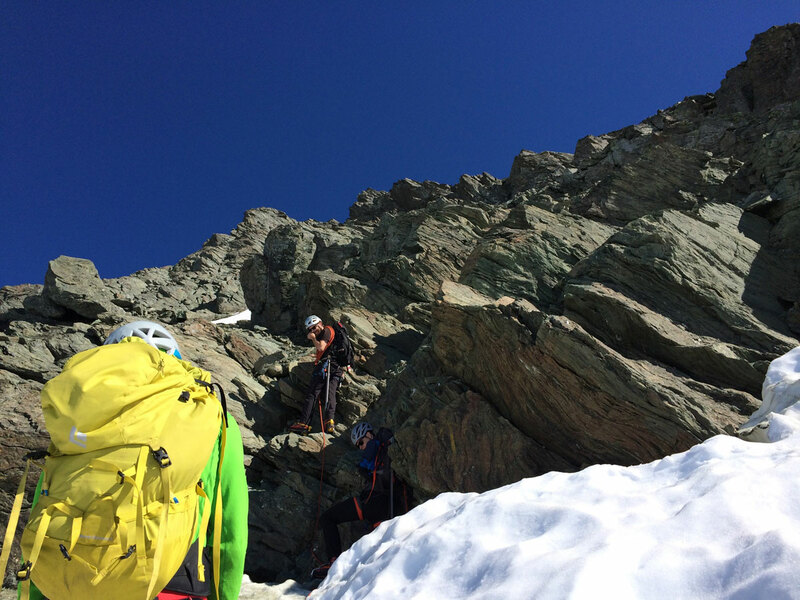 With a 2:1 climber-to-guide ratio, we offer a personal experience and hands-on training with an experienced guide team. 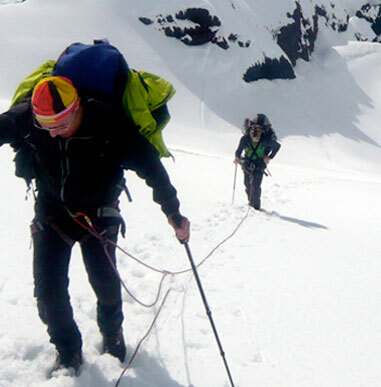 Provided: All group climbing equipment: climbing ropes and technical hardware; meals (except lunch); and tents. Not provided: Personal equipment and lunches. You are responsible for all items on the gear list. Transportation is not provided for this climb. 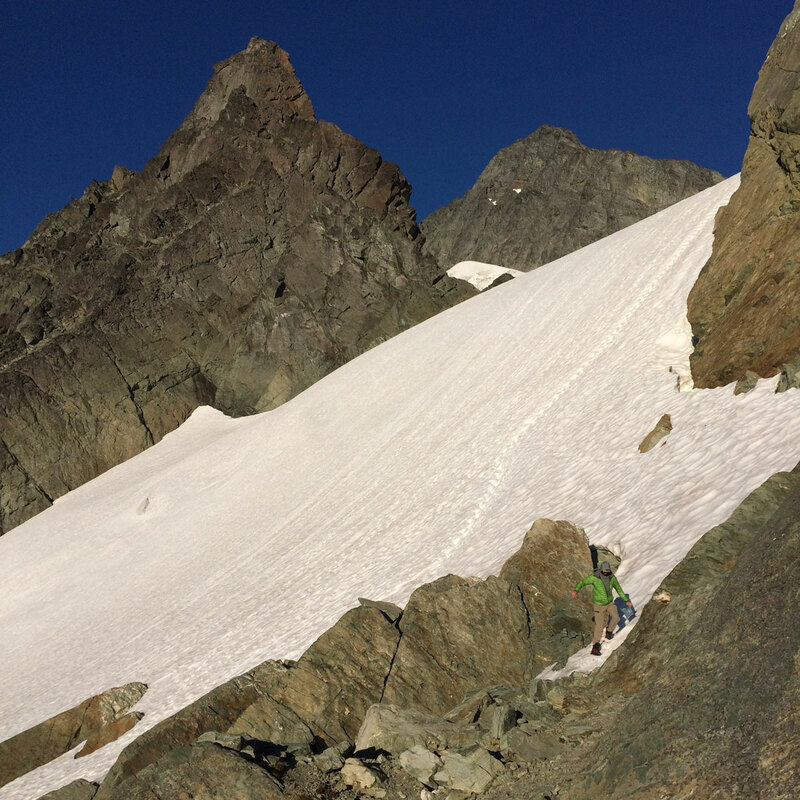 Climbers will need to provide transportation to the trail head. Some basic rock climbing experience is preferred. In the best interest of personal safety, success and team compatibility, adequate training and excellent physical condition are required. 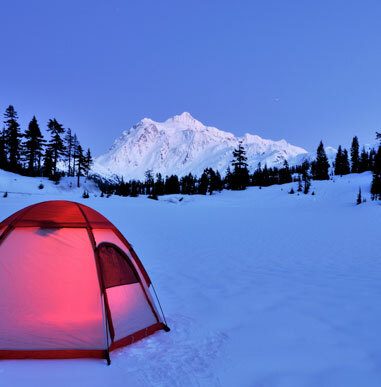 Prior experience with backpacking and camping is required. 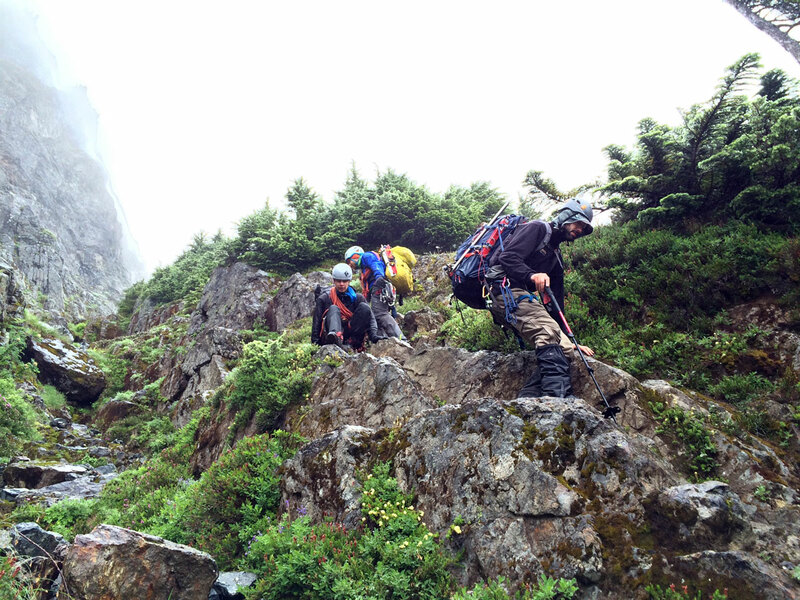 An approximately 40 pound pack weight is the ideal we are striving towards; be prepared to carry a 40-55 pound pack. 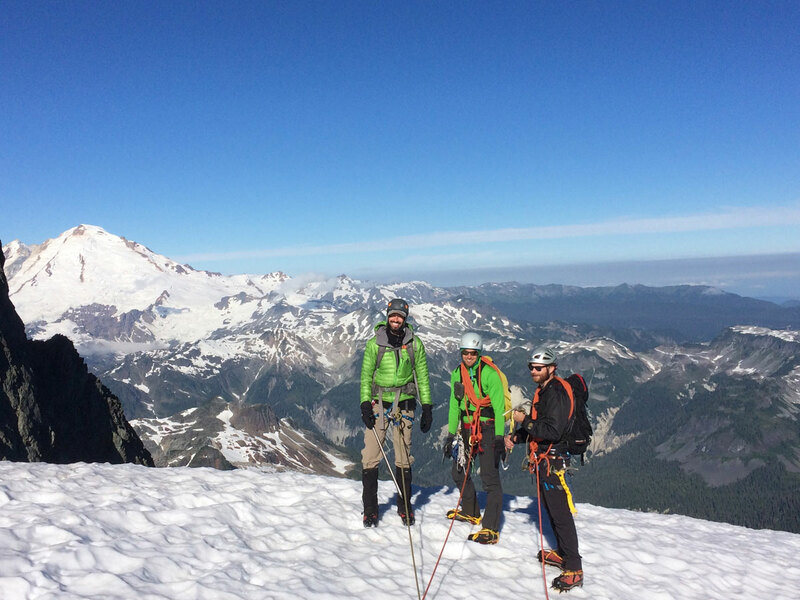 Climbers need to be in excellent physical condition for both personal enjoyment and to be an integral team member. We encourage you to contact us so that we may assist you in developing a training program that meets your particular needs. 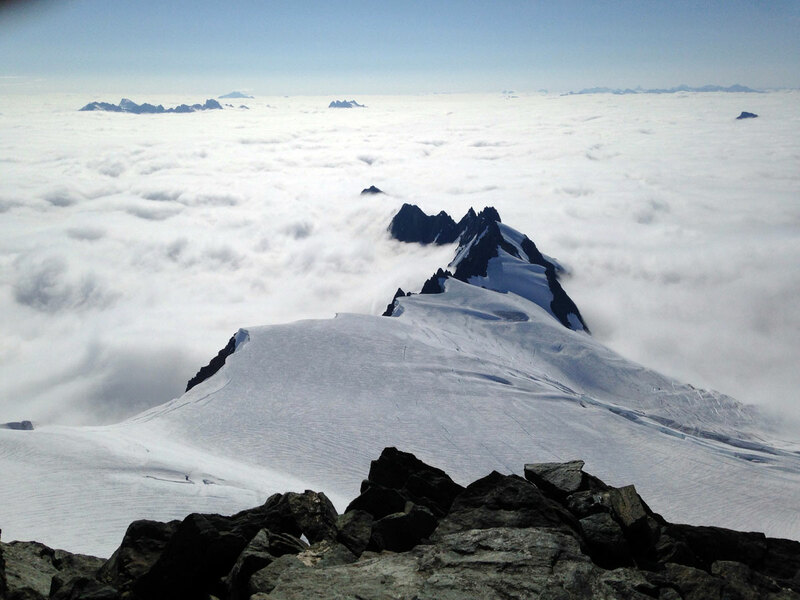 Please Note: There is a mandatory 6:30AM gear check at our Seattle offices on the first day of the course. You will pick up any rental gear at this time.